Of the 555 sq. km. 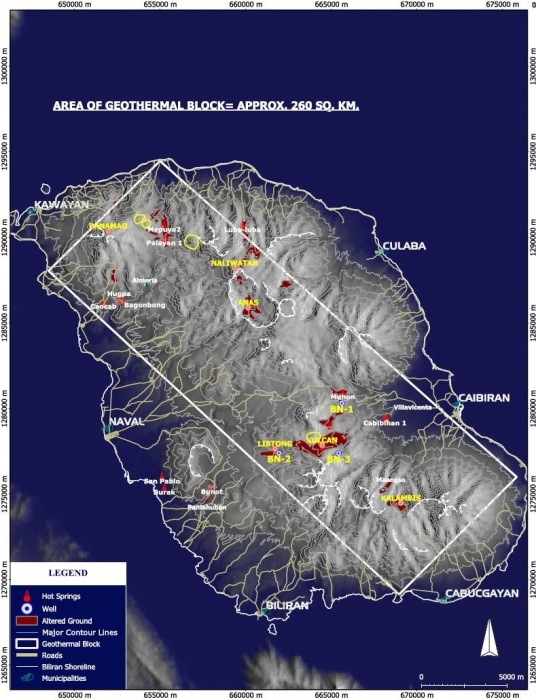 area, how much has been allowed by the government for geothermal drillings by BGI? Half of the island, or more?